Stay up-to-date on event information as well as memories shared on TSgt. 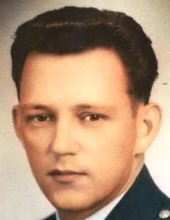 Russell "Sonny" Junior Martin, USAF (Ret. )’s Tribute Wall.